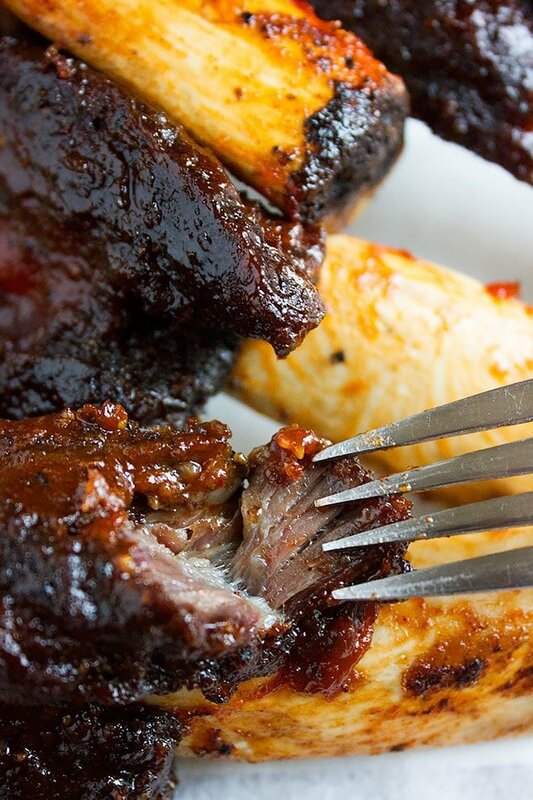 Fall off The Bone Ribs – We all enjoy ribs, I know I do, and if the ribs fell off the bone and melted into your mouth, then that will be everything, right?! There is a giveaway too so don’t forget to take part. Most people think that baking ribs are difficult and you can never get the result you mostly experience in restaurants. Well, I am here to change your mind for good. 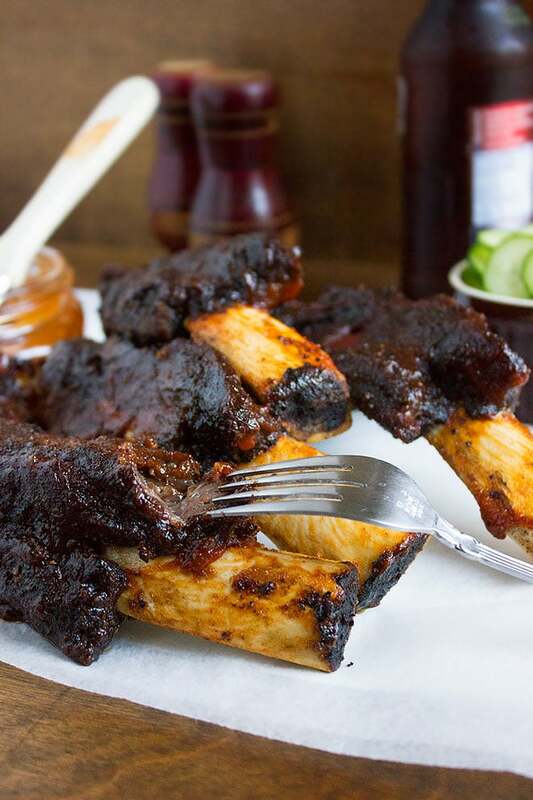 I won’t just share how to bake fall off the bone ribs but will give you a quick recipe for a BBQ sauce AND a recipe for a delicious rub too. 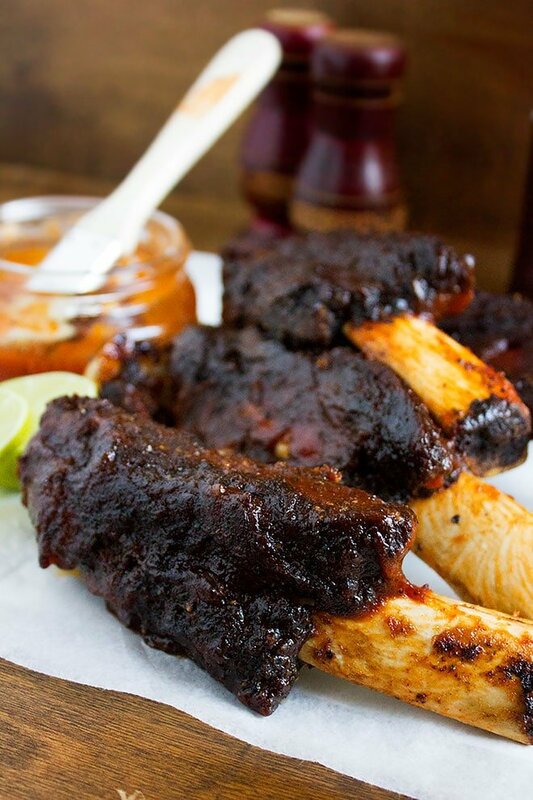 Baking ribs at home can’t be easier, fall off the bone ribs will be baked in your house often after reading this post. I will show you few tricks that will give you tender ribs each and every time. After trying my recipe, get creative and add the spices you like and the sauce you love to your juicy fall of the bone baked ribs. Butchers these days are kind enough to remove the membrane from the ribs but in case it is there, using a sharp knife cut a small part of the membrane edge. Hold the membrane with a paper towel because it is slippery, and pull the membrane off the ribs. If there is a thick layer of fat on the ribs try to remove some of it. 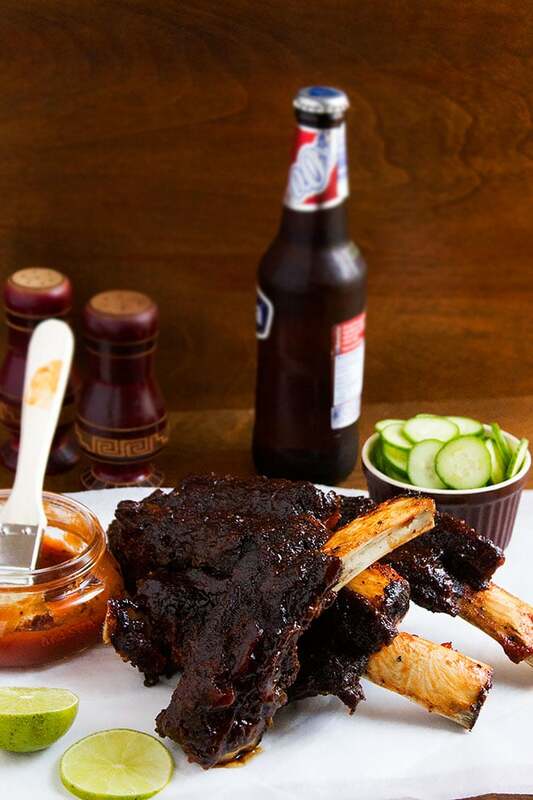 You don’t need all that fat to have flavorful ribs. The ribs will cook for 2 hours and that gives you time to do other chores or even enjoy your favorite TV show. The heat of the oven will bake the ribs slowly giving it time to take in the heat and cook using its own juices. 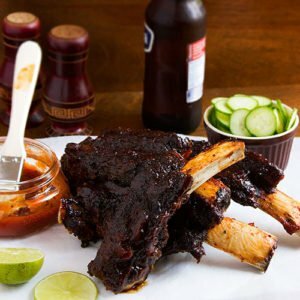 With this recipe, there is no need to marinate the ribs, but in the future and after mastering baking fall off the bone ribs recipe, you might come up with your own recipe and want to marinate the ribs in yogurt or lemon and herbs. In that case, you don’t have to marinate the ribs for more than an hour while covered and in the fridge. 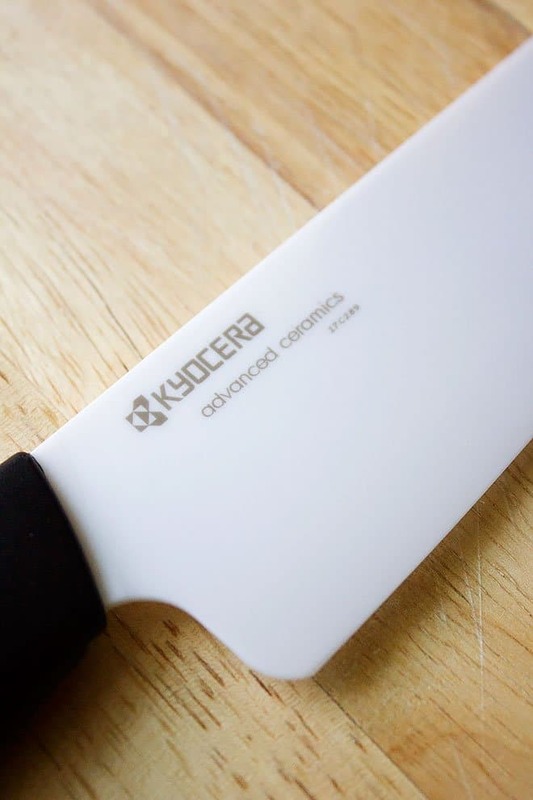 My friends at KYOCERA would like to give one lucky winner a Ceramic Chef Knife. 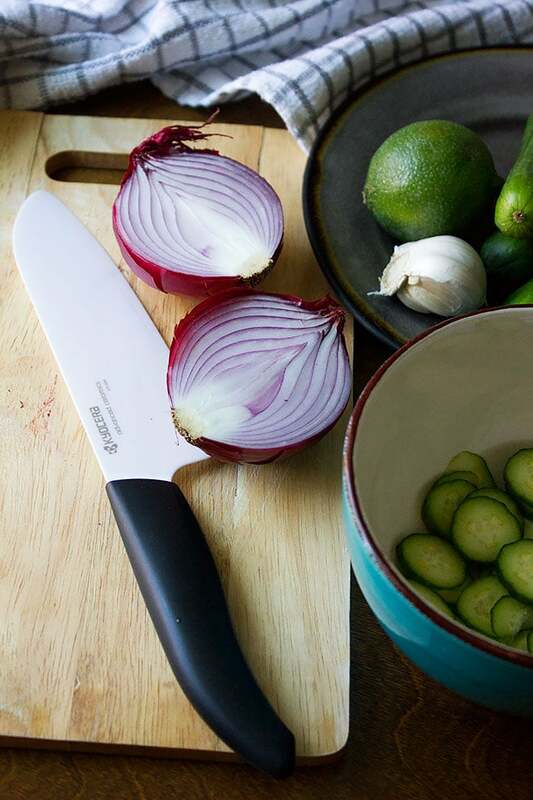 This knife has to be in every kitchen. It looks good and it is a sharp knife. 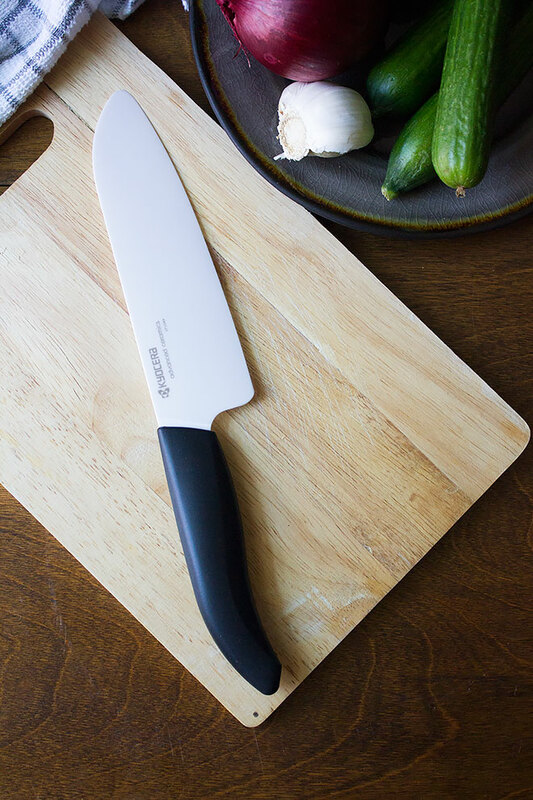 I have used it when cutting vegetables and meat (do not use the knife on frozen meat or bones). Cutting the vegetables was like cutting through a soft stick of butter. My husband loves this ceramic knife so much, he uses it more than me. It is his favorite tool now and if it happened that we both are cooking together he won’t let me use this knife. I don’t blame him, it makes life easy and I even use it to cut slices of cake since the cut is just so clean and perfect. 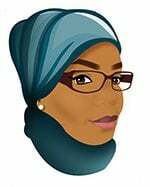 To enter the Giveaway follow me on Pinterest and let me know by sending me a message there (on Pinterest). This Giveaway is for US residents only and will end on Dec 25th, 2017. 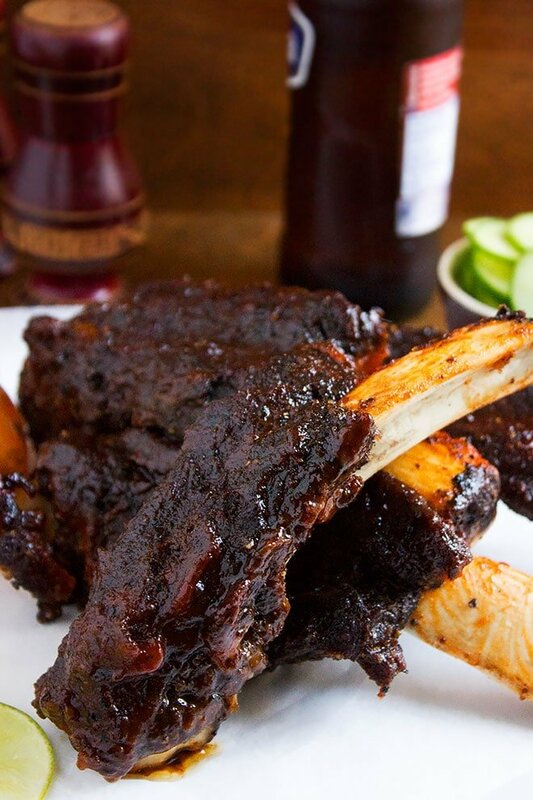 You will love this recipe because it will give you a juicy and tender ribs every time. 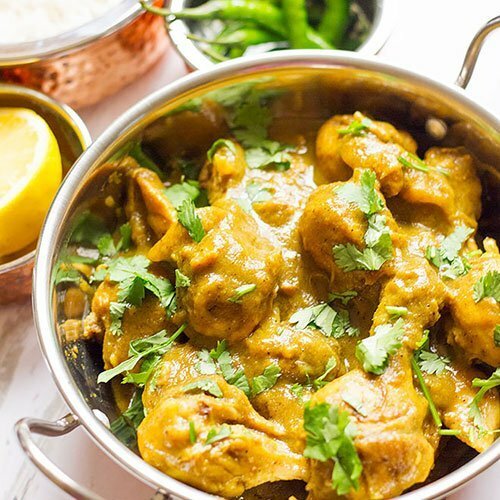 This is my favorite recipe but you can get creative with it. Preheat oven to 350F/180C. Place aluminum foil in your baking pan. In a bowl, add all the rub ingredients and mix well. Rub the ribs with the mixture from both sides. Place the ribs meat side facing down in the baking pan. Cover with aluminum foil and bake for 2 hours. Flip the ribs and bake for 10 minutes. Brush the ribs with BBQ sauce (recipe below) and place the ribs under the broiler for 5 minutes, to caramelize the BBQ sauce. In a saucepan, add all the BBQ sauce ingredients and cook on medium heat until it comes to a boil. 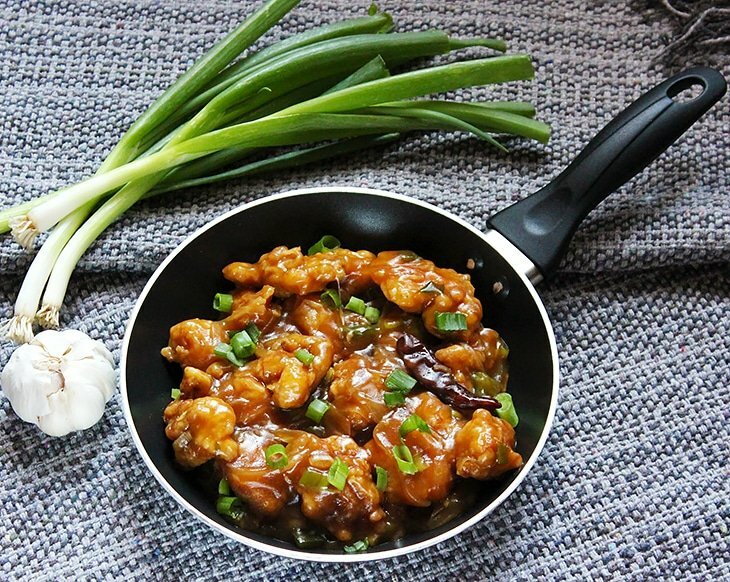 Let it cook on medium heat for 5 minutes while stirring.